Tsveta Andreeva is a Senior R&D Officer at Research & Development and Advocacy Department at the European Cultural Foundation (ECF) – an independent Amsterdam based foundation (since 1954) advocating for a central position for culture at the heart of EU policies. ECF supports cultural changemakers from wider Europe through grants, programmes, online platforms, awards and advocacy. Tsveta is in charge of research projects and partnerships, policy monitoring and advocacy at EU level. She also outECF programmes’evaluations and impact assessment. Her broad professional portfolio includes also cultural policy research and training. 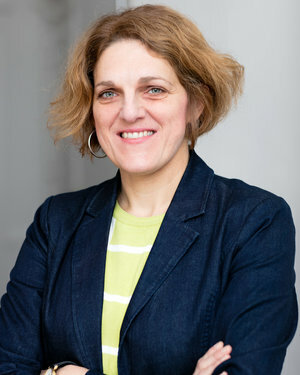 Her background is in cultural policy and management and in cultural economics, MA in Cultural Management from Sofia (Bulgaria) and Dijon (France) under the tutorship of Assistant Professor Dr. Lidia Varbanova and Corina Suteu, and PhD in Cultural Economics (economic impact of cultural industries) from University of National and World Economy (Sofia) with Assistant Professor B. Tomova. 2000-2009, she worked in the department for international cultural cooperation at the Ministry of Culture of Bulgaria where she worked extensively with UNESCO, CoE, British Council (cultural policy development, creative industries in South-East Europe) and the European Commission (European Year for Intercultural Dialogue 2008, Cultural Contact Point in Bulgaria etc.) . Between 2000-2006 she coordinated in Bulgaria a regional programme of ECF (Amsterdam) and Ecumest (Bucharest) ‘Policies for Culture’ in South-East Europe.